Remember the last time I made you strudel? Yeah it’s been way too long, I almost don’t remember myself. 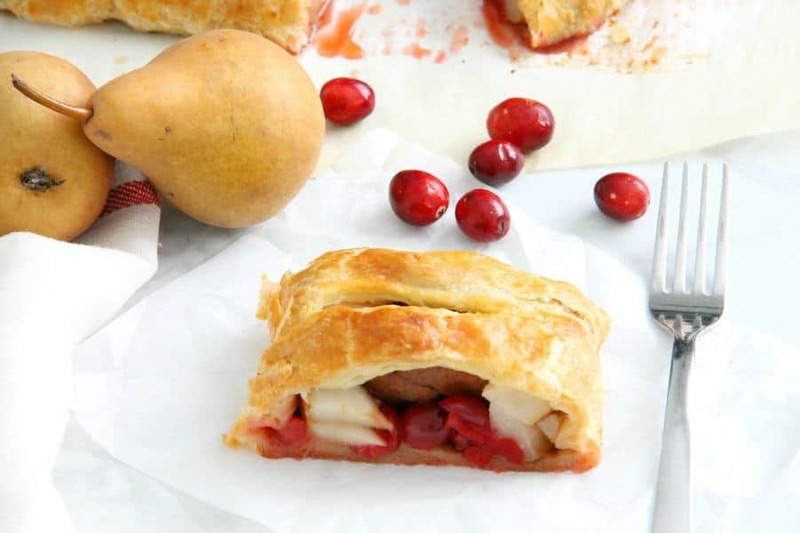 It was this Cranberry Apple Strudel. I think I stayed away from strudels because I didn’t know how to make them look pretty! Fear not I have overcome that issue so you may see a lot of them real soon! So what is a strudel? Basically it is just a layered pastry with a sweet filling, typically from Europe but equally enjoyed here in the US. WHAT IS A BOSC PEAR? What is a bosc pear? These are the best pears in my opinion! What is funny is that I didn’t even like to eat pears until a few years ago. Were were in Italy visiting family and my mother in-law offered me one. I decided to try it since it had been years since I had attempted to eat one. Guess what? I loved it! But just the bosc pears are my favorite. They have brown skin and are super juicy! 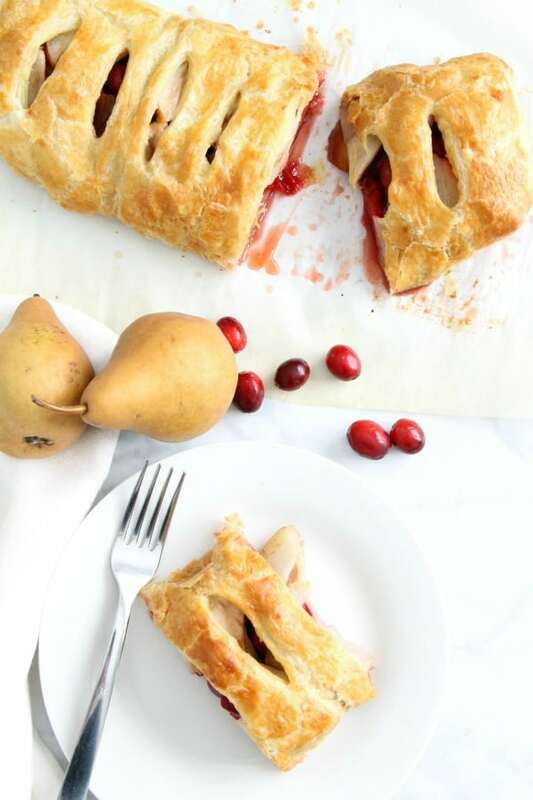 Perfect for the Cranberry Pear Strudel! 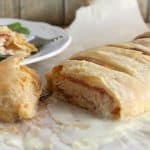 How to make strudel? 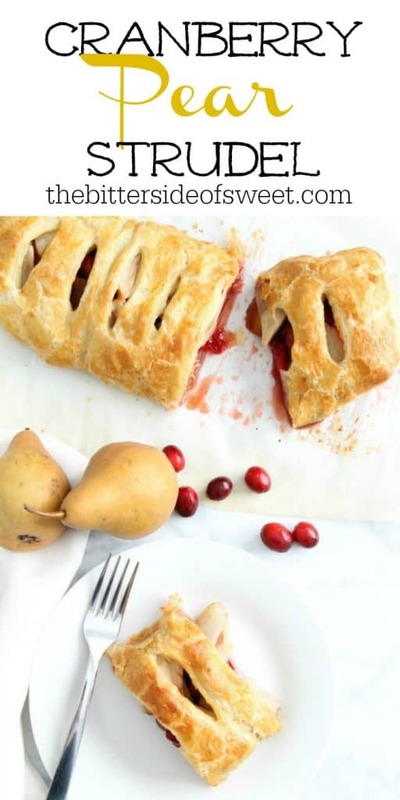 In order to make this strudel make sure your pastry is thawed well. That way you can roll it out into a large rectangle. 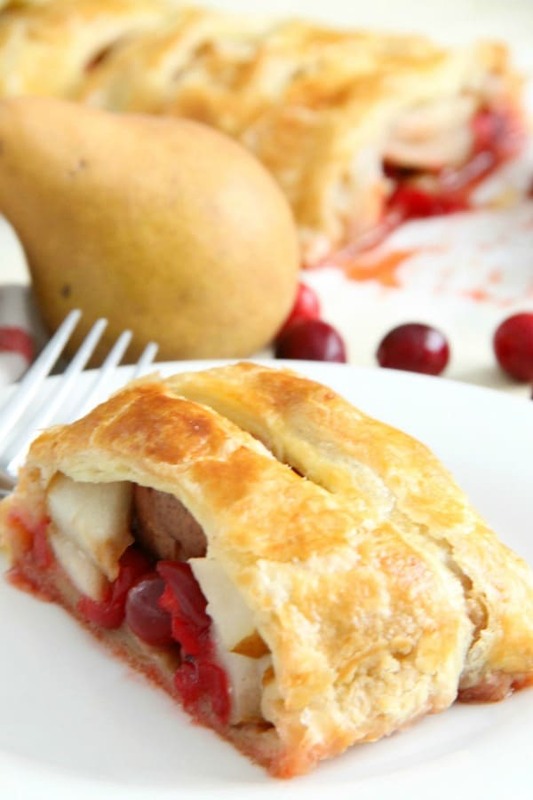 No need to cook up your fruit before putting it in the strudel. 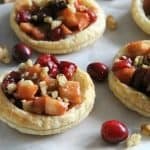 All you need to do is cut the pears and place everything in the center of your pastry. 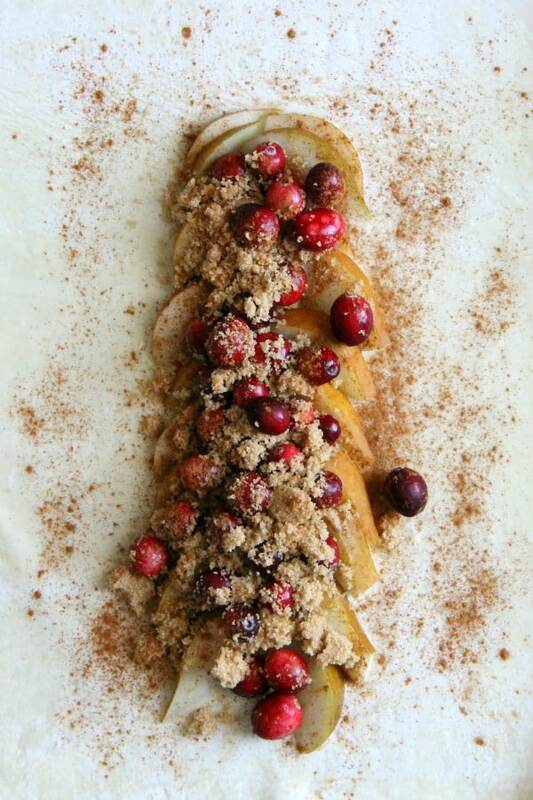 Roll your dough over the center and then flip the strudel. Careful this takes a little patience and care to make sure the filling doesn’t fall out! 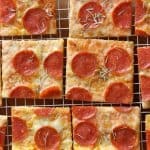 Need some more puff pastry recipes? 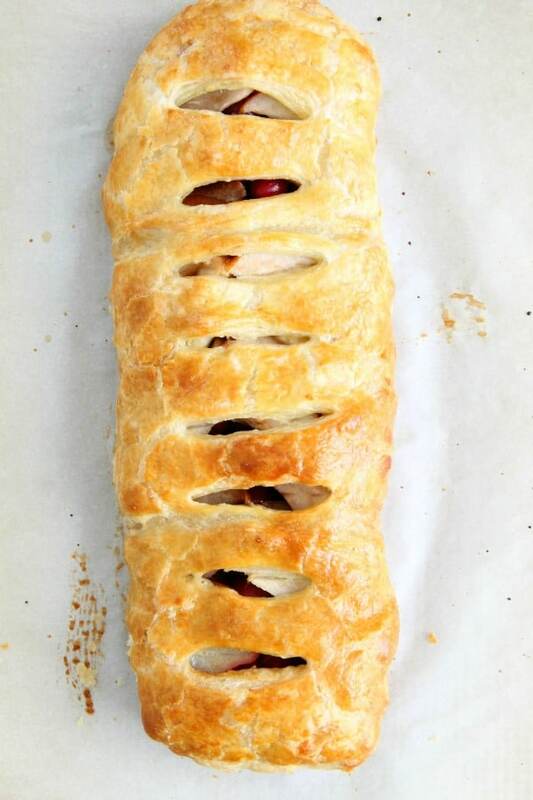 This Apple Strudel looks great. It has a touch of lemon in it which sounds amazing! 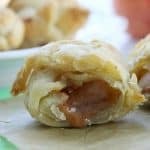 How about Puff Pastry Apple Slab Pie or Miguelitos with Pumpkin Cream! I love Apple Strudel, I had my first strudel in Germany when I was visiting family. It was delicious.